Kathleen joins our team with 20 years experience within the academic, healthcare, international and political sectors. As an RN, Kathleen is a compassionate caregiver who is particularly skilled at fostering partnerships between philanthropists and the organizations they care about. Her most recent healthcare philanthropy experience was at USC Verdugo Hills Hospital (VHH) where she served as Director, Major Gifts & Planned Giving for 5½ years. Previously, Kathleen was Director of Major Gifts with Marymount University in Rancho Palos Verdes and spent eight years with Providence Saint Joseph Medical Center in Burbank in senior development roles. Kathleen earned her RN at Pasadena City College and her Bachelor of Arts in International Relations at the University of Southern California. 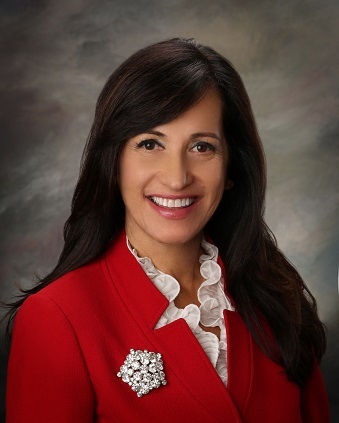 She holds a Planned Giving Certificate from the Pantera Executive Development Program and an Executive Management Certificate from University of Southern California, Marshall School of Business. In addition, she sits on the board of USC’s Trojan League of Los Angeles and has been a goodwill ambassador to Japan and Germany.